Welcome to DAVID H. MILLAR, who was born and bred in Belfast, Northern Ireland. 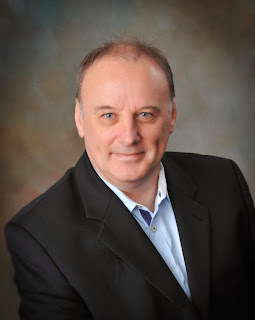 He is the founder and executive chairman of a boutique strategy consulting group and managing director of a publishing company – A Wee Publishing Company - that focuses on Celtic literature and art. Millar moved to Nova Scotia, Canada, in the 1990s. After ten years shoveling snow, he decided to relocate to warmer climates, and settled in Houston, Texas. An avid reader, armchair sportsman, and Liverpool Football Club fan, Millar lives with his family and Bailey, a Manx cat of questionable disposition known to his friends as "the small angry one." Millar’s first foray into writing is a historical fiction piece set in ancient Ireland – Conall: Rinn-Iru (The Place of Blood). He plans to continue Conall's adventures in further books. 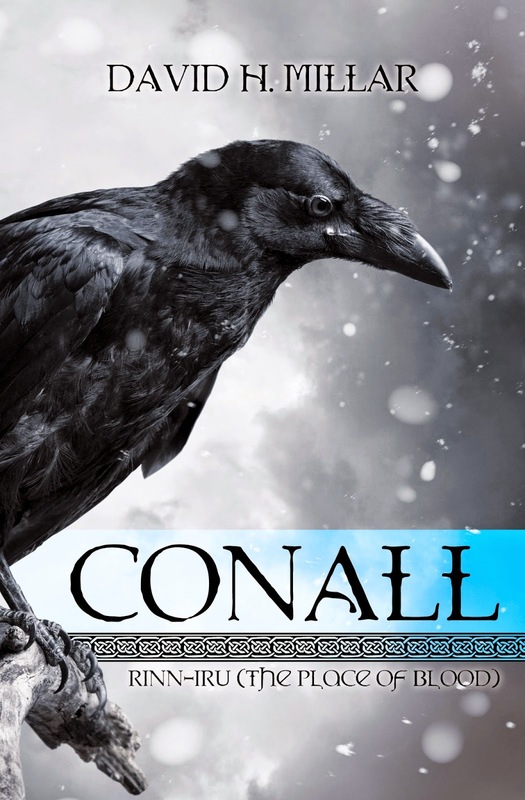 The second in the series - Conall: Eitilt an Fhiaigh Dhuibh (The Raven’s Flight) is expected to be published in early 2015. What brings your writing into focus? The story. I think for authors who focus on historical fiction, the danger is getting so involved in the detail of the chosen era that we lose sight of our purpose – to write a great yarn. How much fact is in your fiction? I write (and love reading) historical fiction, so this is one question that I often ask myself. I do a lot of research to make sure places, events, and my depiction of society is as accurate as possible. Archaeology books are a treasure trove and odd facts sometime surface that add a humorous note – an example being that the remains of a Barbary Ape were found in Emain Macha (Navan Fort) and dated to around 400 BC. So my mind starts playing with the possibilities of where it came from and how it got to Northern Ireland. That said, given that my first book – Conall: Rinn-Iru (The Place of Blood) is set in Iron Age Ireland around 400 BC, there was not a lot of information to be found and the boundaries between myth, legend and reality were blurred. The fiction in my books is largely the characters although I will include a historical figure if he or she fits with the story. And after all, that’s the purpose of writing – to tell a good story. What’s your favorite writing accessory or reference? Roget’s Thesaurus, The Elements of Style by Strunk and White and a raft of archaeology books. The next project? 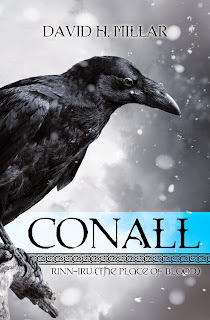 The second in the Conall series - Conall: Eitilt an Fhiaigh Dhuibh (The Raven’s Flight) - has passed the mid-way point, so it is all downhill now. In the second novel Conall, his queen Mórrígan, his growing army and their followers step across the Irish Sea to continue the quest for vengeance. In Scotland they meet and in some instances battle their brother Celts in Scotland. I am aiming for publication in early 2015. The Conall series was originally conceived as a three-book series, but four books is looking more likely. · A vicious slaughter robs Conall Mac Gabhann of his family, sending the young blacksmith's apprentice on a quest for vengeance across ancient Ériu. Those responsible will pay for his loss. · A rousing adventure in the spirit of Ireland’s ancient legends. Conall: Rinn-Iru brings to life the battles, intrigue, betrayals, and courage that are part of life for the Celts who call Ériu home. CONALL: Conall Mac Gabhann just watched his life implode. Before him lie the butchered bodies of his father, mother, and sisters. Yesterday, the young man was an apprentice blacksmith. Today, if he wants vengeance, he'll need to become a warrior. Two men must die to satisfy Conall's revenge. Eochaidh Ruad is a king, subject to fierce tempers and unpredictable, almost mad, behavior. Cassius Fabius Scaeva is a Roman, whose debauchery is only equaled by his cunning. As Conall's small band of followers swell into an army, the young man comes to the attention of the aes sidhe, the mystical faerie-women whose powers can make kings of common men. Their power is at Conall's disposal, but as with everything sidhe-related, it comes at a price. A rousing adventure in the spirit of Ireland's ancient legends, Conall: Rinn-Iru is the first of a series to focus on Conall Mac Gabhann, the blacksmith's apprentice turned warrior-king. Labels: Celtic, Conall, David H. Millar, Ireland, Wee Publishing Co.